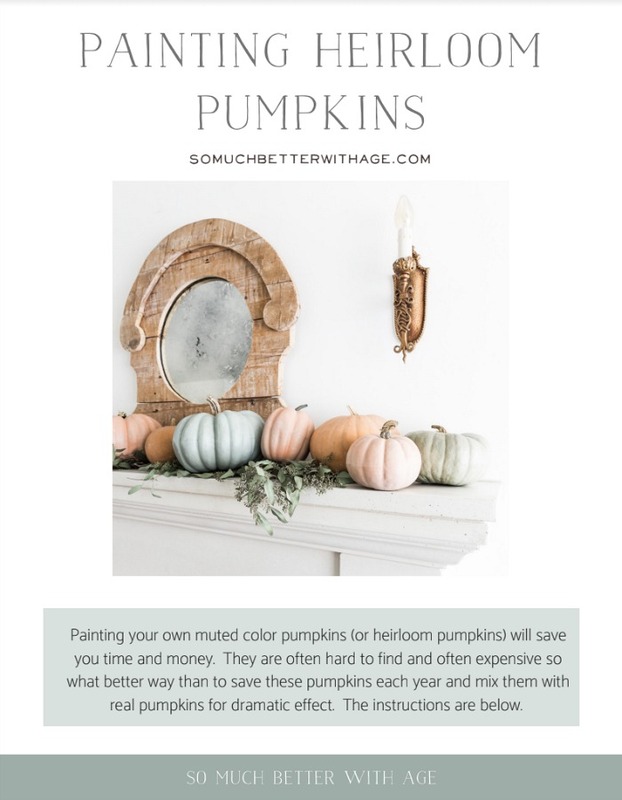 Painting pumpkins in muted colors is the perfect way to match fall pumpkins to your home decor and to save money and time each year trying to find them. 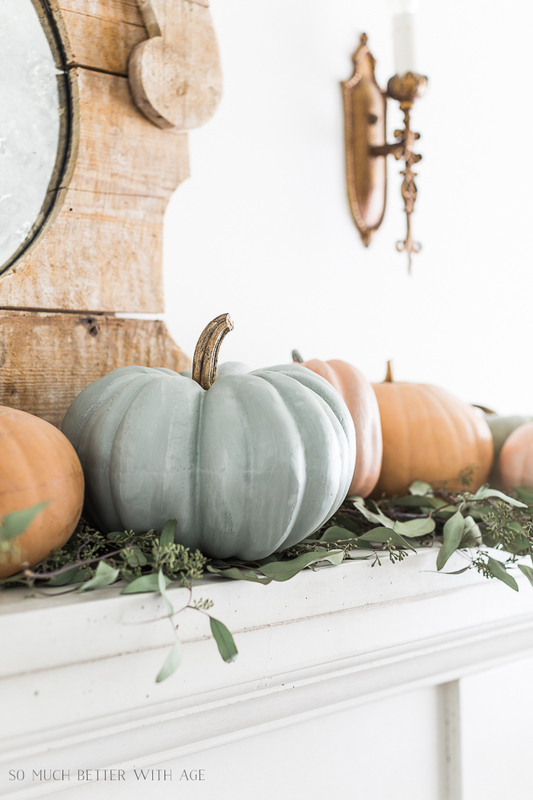 I’m sure you already know but I love painting pumpkins in these soft muted colours. A couple of years ago I painted foam dollar store pumpkins to look like heirloom pumpkins as they were always so hard to find and often quite expensive. 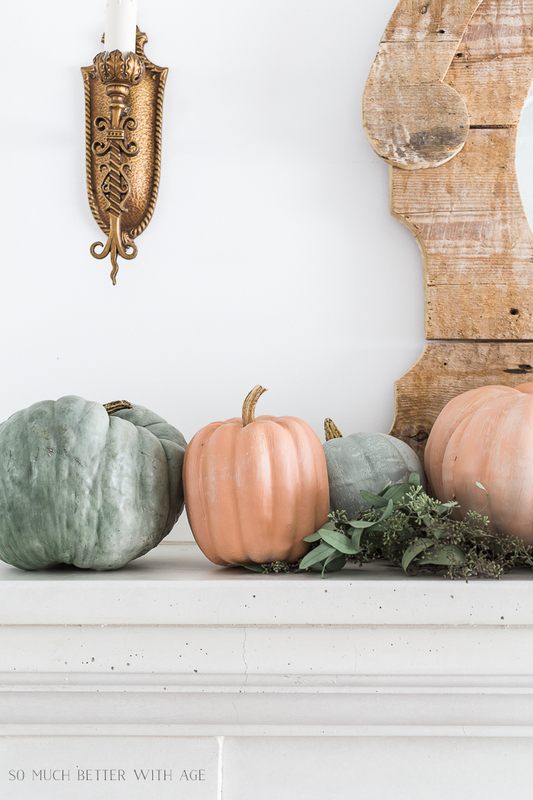 I love mixing real heirloom or muted coloured pumpkins with painted ones. It’s fun to have people guess which ones are real or faux and it expands how many real pumpkins you need to search for. 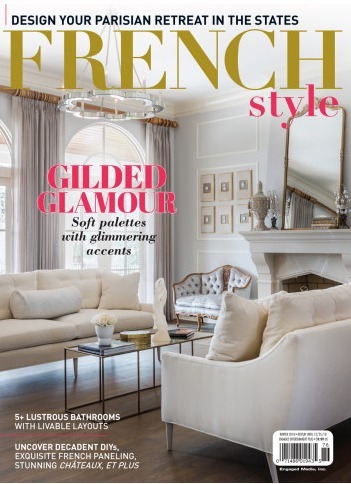 To use a different brand of paint, check out Fusion Mineral Paint colours to match. Remove the plastic stems from the foam pumpkins. 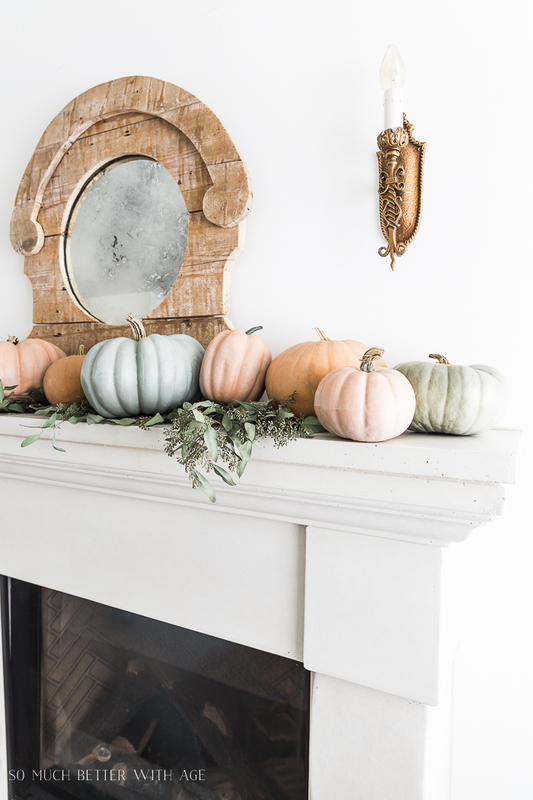 Those plastic stems are what make the pumpkins look fake. Fill the stem hole with wall spackle using your finger. 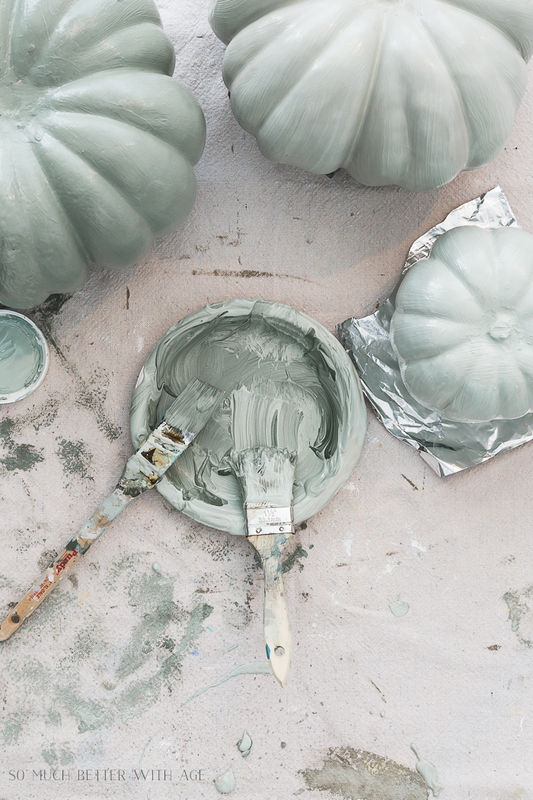 Paint the pumpkins with primer and let dry at least one hour. Place the wet pumpkin on aluminum foil. 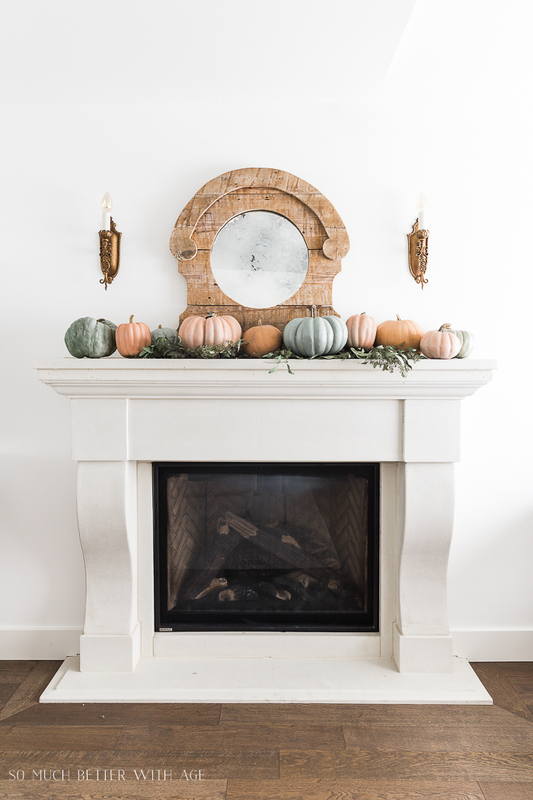 For this project, I divided half of the pumpkins into two colour groups: 1) sage-y green and 2) pale orange. Three pumpkins for each colour. I like to mix the colours in steps so that each pumpkin is a bit different from the next. 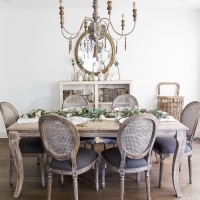 Pour about 1 tablespoon of Algonquin and 2 tablespoons of Inglenook onto a paper plate and mix with the paint brush. You want the first pumpkin to be quite light so add more Inglenook if you need to. Brush all over your first pumpkin. 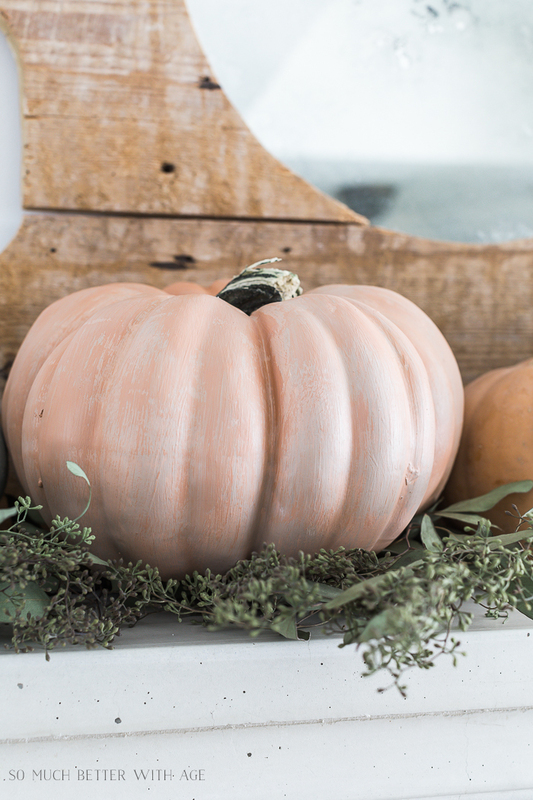 After you have a pumpkin painted, now add 1 more tablespoon of Algonquin to the same paint on the paper paint and paint another pumpkin with it. 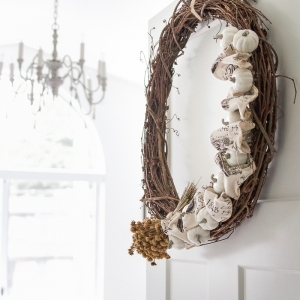 Next add a splash to 1 tablespoon of Bayberry to the paint mix and paint another pumpkin. Let dry at least one hour. Set on a piece of aluminum foil to dry. Note: Because I mixed the paint with the paintbrush, there was quite a bit of paint on it so I found I could paint the pumpkin entirely in one coat. 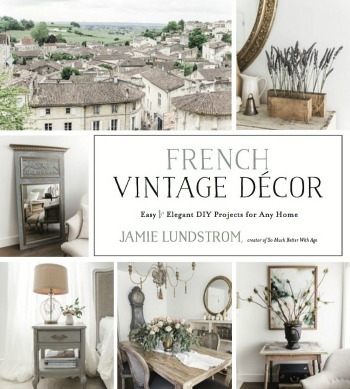 Pour 1 tablespoon Tuscan Orange and 1 tablespoon Champlain onto another paper plate and mix with a paintbrush. Brush all over your first pumpkin. 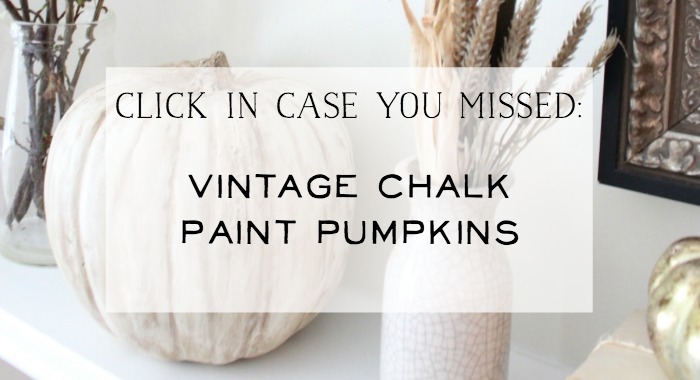 Pour 1 tablespoon Inglenook in with paint, mix together and brush over another pumpkin. 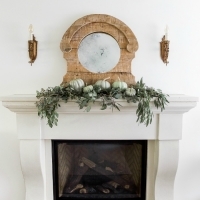 For the last pumpkin, you can add more Tuscan Orange and even a splash of Bayberry to get a darker muted orange colour. Note: These are not exact measurements but more of an idea of the amounts I used. Play around with the colours to find your own unique blend. There is no wrong colour! For the very last step, pour 1-2 tablespoons of Champlain onto each of those paper plates you’ve already used and mix in. 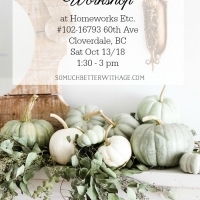 You are going to be dry brushing a lighter colour all over each pumpkin. To dry brush, load paint onto your brush and brush some off onto a paper towel. 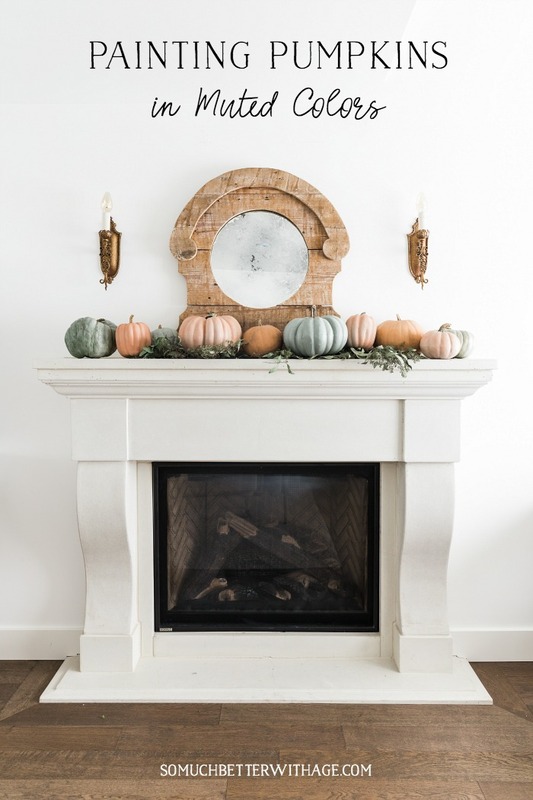 You can use as much or as little of the lighter colour all over the pumpkin. 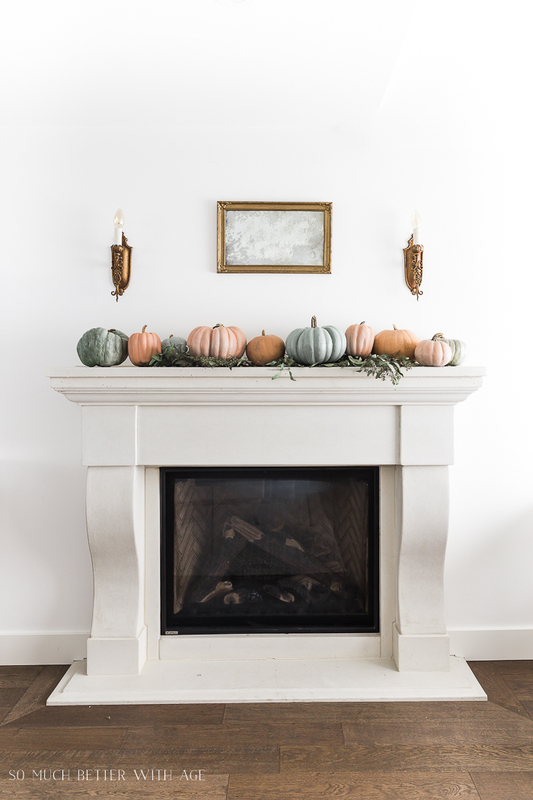 Alternatively, you can just dip your brush into Champlain and dry brush over each pumpkin with just the creamy-white colour. The light colour on top makes the grooves of the pumpkin darker which mimics its realness. Again, you can play around with the colours until you find the blend that works for you. Note: I did try using white wax over the pumpkins but it didn’t show up as well as dry brushing this last step. 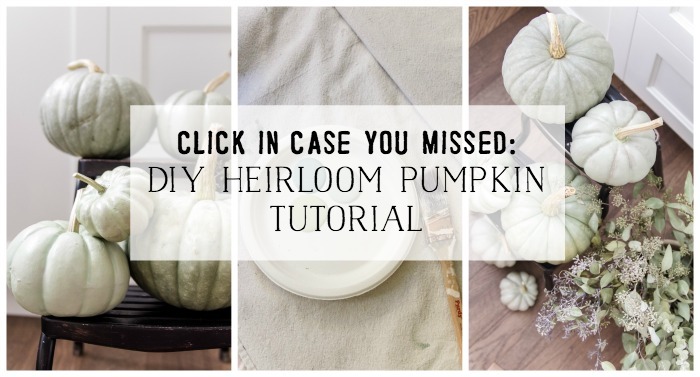 Mixed in with real heirloom or pale pumpkins really makes it hard to distinguish which ones are real and which ones are faux. 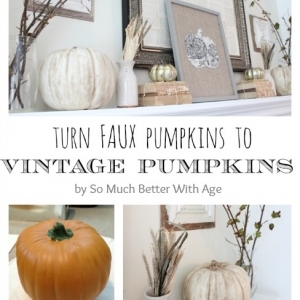 The very last step is to hot glue a real pumpkin stem to each of your faux pumpkins. I’ve had my heirloom pumpkins for a couple of years now and they never rot or get moldy. Don’t they all look so good together? 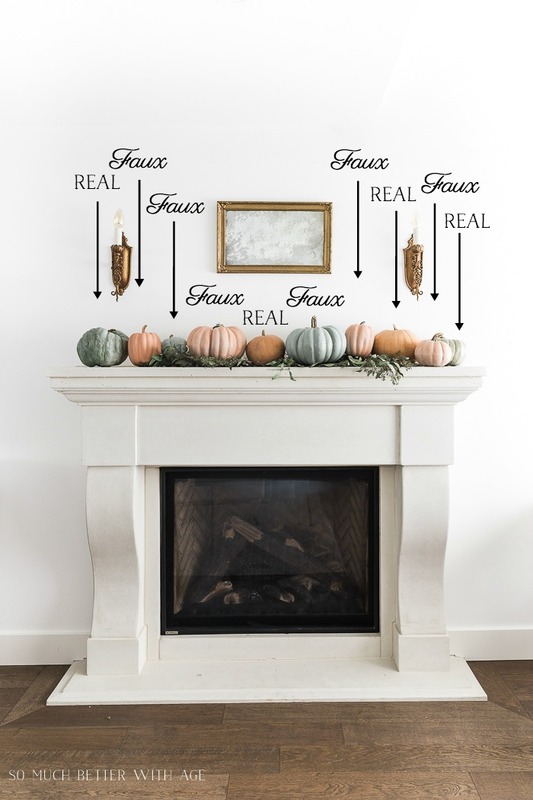 Did you have a hard time figuring out which ones were real and which ones are faux? 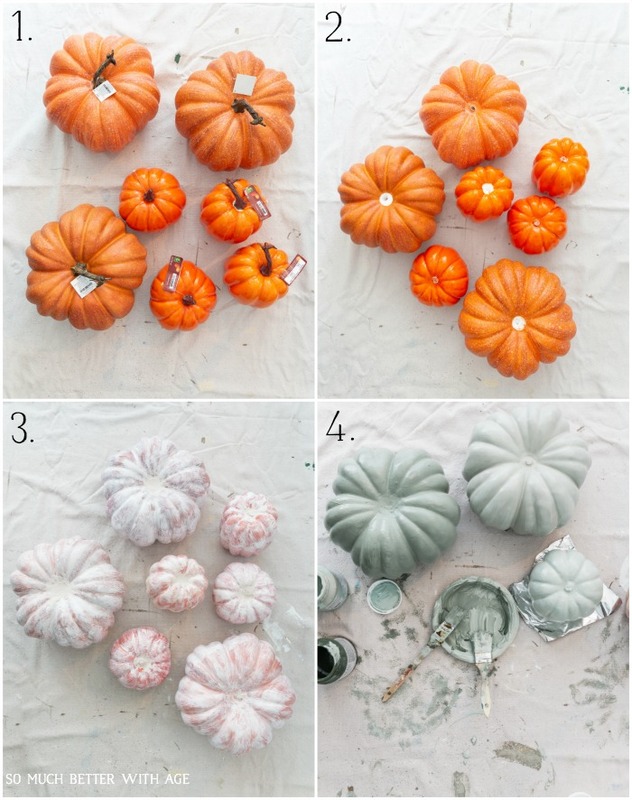 I hope this tutorial helps you to paint your own pumpkins in these gorgeous muted colours. 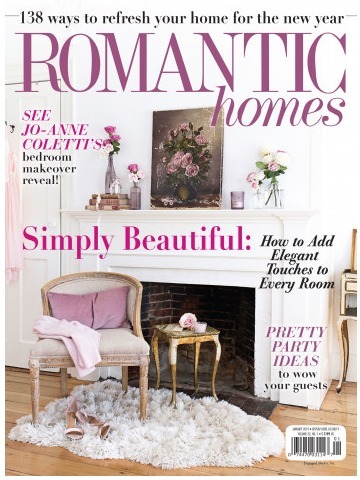 You can also download my free PDF of this post by subscribing to my newsletter below. Those pumpkins look so good. Love the colors! Keep creating! 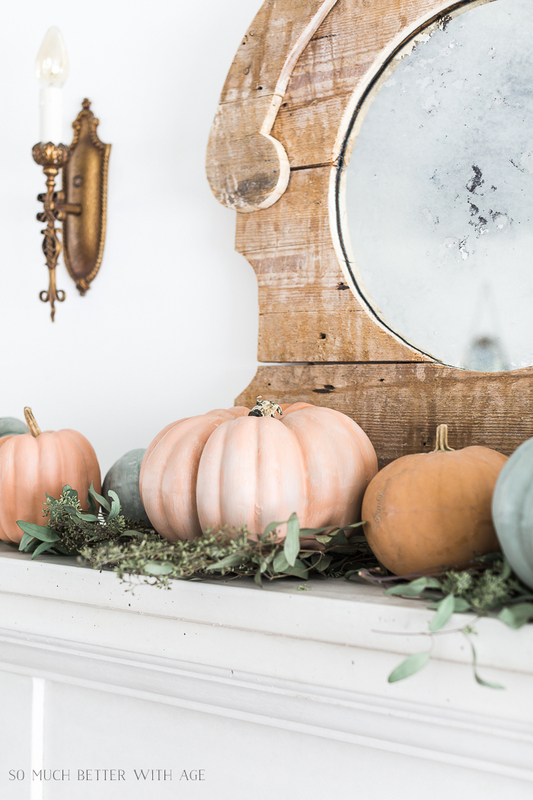 Never have I ever seen a more gloriously soft, muted, perfect pumpkin grouping! Love! Aww thanks Judy! 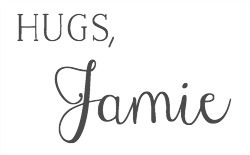 That means so much to me.